We take pride in the opulence and quality of the services we have to offer. Our teams combine the multidisciplinary approach with their own individual skill set, all to provide a unique service. No detail is too much, the hours you are available, the specific type of your building and most of all your wishes. Of course, that doesn’t mean we will blindly follow your lead, if we recognize the potential to make this project cheaper, we will present you with a few opportunities, just to make sure you are well-aware of your options. If you notice even the smallest of cracks, don’t hesitate to call us up. 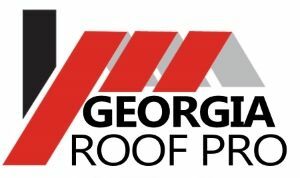 Not only will you sort the nature of the crack, by using our roof repair service, but we will also evaluate and assess the damage done to your roof as well as provide a first-class repairment service. Even in case of critical damage, where the repairs need to be done as soon as possible – we offer you the exclusive emergency roof repair service. In addition to that, our storm damage roof repair service ensures that your roof will be restored to its former glory after being hit by the wrath of mother nature. Do not hesitate to contact us today to start on your roofing project.